A giant leap to a sustainable future. My Eco Energy is constantly creating renewable fuel solutions and green energy innovations to create a happier, clearer, brighter India. The company is dedicated to the mission of sustainable development to deliver a powerful green fuel experience across the country. My Eco Energy's flagship brand 'Indizel' is one of the world's most advanced fuels and a true alternative to diesel. Indizel, allows MEE to offer an ultra-premium, low-emission fuel which is compatible with all diesel engines. 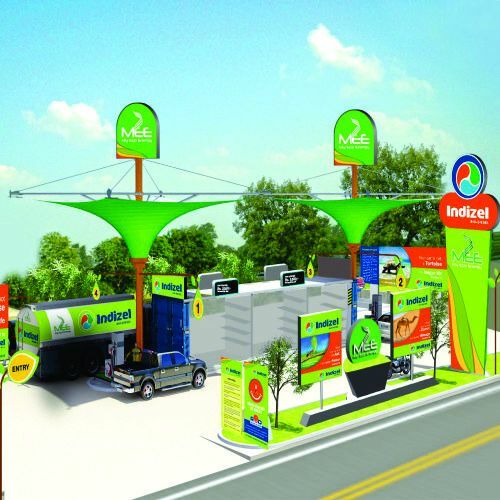 Indizel is recognised as a drop-in fuel as per National Policy on Biofuels, 2018 and is manufactured, processed and tested at MEE manufacturing plant in Gujarat, India. Indizel. India's best automotive diesel, ever. Indizel fulfils both Euro 6 and BS VI emission norms and outperforms both conventional biodiesel (FAME) and even conventional fossil diesel in terms of engine performance and environmental impact, thus paving the way for a cleaner, greener, happier India.